Richard began diving in 1998, becoming both Sports Diver and Branch Instructor in 2000. He has dived in Egypt, New Zealand, Malta, the Canary Islands, the Balearics and Jordan and has racked up around 500 dives. Dave started to learn to dive along with his daughter Charlotte in 2009, quickly rising to become Master Diver in 2013. He enjoys searching out marine life and has dived in Egypt, Malta and Lanzarote as well as various locations in the UK. Chloe learnt about Penrith Divers from the flurry of newspaper articles in 2017 and brought her dad along to find out more. She has embraced the cold waters of the Lake District but enjoyed her first trip to warmer climes last year and is now looking forward to starting her Master Diver training soon. Dave started diving in 2017 he learnt about Penrith Divers from the flurry of newspaper articles. ​Despite not likely the cold waters he jumps in nearly every week in preparation for master diver training and has clocked up over 60 dives. 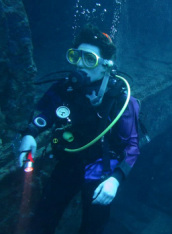 Fiona started diving in 2018 and is working towards her first qualification. She has found the club a great place to learn to dive, with enthusiastic and knowledgeable instructors and a commitment across the club to safety and wellbeing of all members. Penrith Divers is run by all of its members. As chair, Fiona helps to work towards the smooth running of the club. Katie first learned to dive with BSAC whilst on holiday on Ascension Island in 2008 and came home thinking "Use it or lose it!". The transition from 30 degree South Atlantic water to 4 degrees in Ullswater was a challenge but mostly great fun and second only to the challenge of fitting some underwater time in around the demands of two teenagers. Katie has been a member of ScotSAC and Penrith Divers since then and has clocked up around 250 dives so far, in the UK, Canary Isles, Malta and Egypt. Steve started diving in 2014 and attacked his training with gusto, becoming both Branch and Sports diver in 2015 and then Master diver the following year. He is keen to help others on the same path as he enjoys it so much and has clocked up over 300 dives in the Canary Islands, Malta and the Caribbean as well as the UK. Alan learned to dive with PADI in Egypt in 2005, confidant that learning the basics would be OK as he was only going to be a warm water diver! However, he soon found that even 4 or 5 holidays a year doesn't give you anywhere near as much experience as diving in the Lake District. Alan joined ScotSAC and Penrith Divers in 2007, passing his Sports Diver qualification in 2009 and becoming a Master Diver in 2013 followed swiftly by a Branch Instructor qualification in 2014. He has dived in Egypt, Kenya, the Dominican Republic, Turkey, Malta, Thailand and Cyprus. 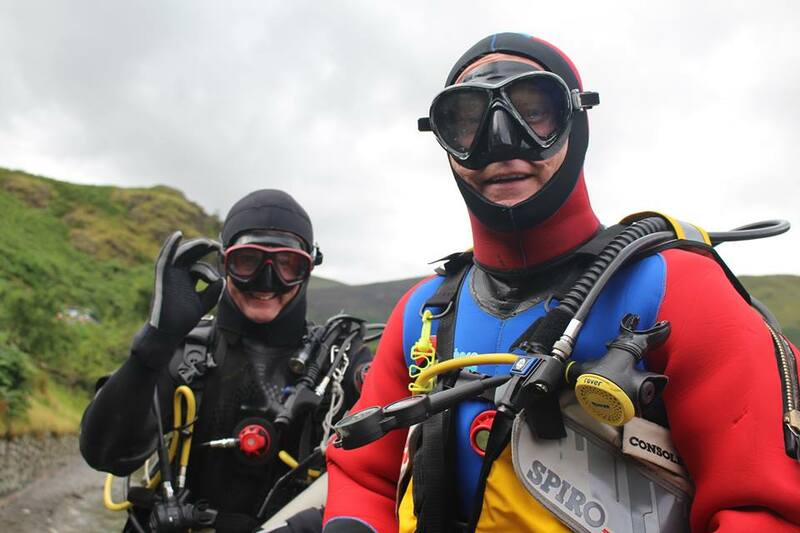 Rob became interested in diving while watching Gordon Burton, a founder member of Penrith club, working on boat moorings on Ullswater. He joined ScotSAC in 2000 and became a member of Penrith Branch, passing his Sports Diver by November 2001. Some time after that he traveled extensivley, diving in the Maldives, Thailand and Tunisia as well as holiday diving in Cuba, Turkey, Malta, Gozo, the Canary Islands and Egypt several times. 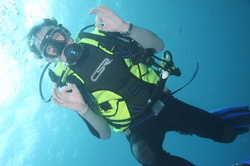 He qualified as a Master Diver in September 2008, followed swiftly by becoming a Branch Instructor in March 2009 and B.D.O in April of the same year, a post which he held for 7 years. Rob enjoys passing on the knowledge and skills that enable others to participate in diving safely. He gets regular calls from the Ullswater Steamer company to help find keys and wallets that are dropped from their piers and has also been involved in searches. He has completed over 1,000 dives. Favourite Dive Site: the Maldive Islands. Charlotte started learning to dive in 2009 along with her dad Dave and became a Master Diver in 2013. She is a PADI Dive Master too following a stay in Egypt in 2014 and has also dived in Malta as well as different parts of the UK.